Every year, companies spend thousands of dollars on repairing roof damage that could have been prevented with a little maintenance. 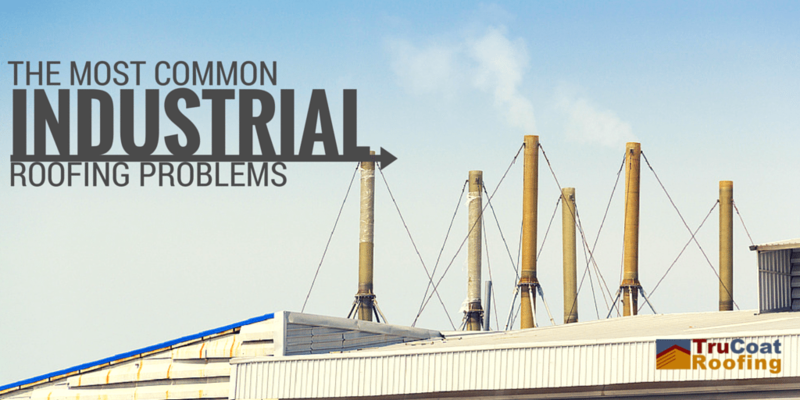 Poor maintenance is the top source of problems for industrial roofing. Despite many roofing service companies offering preventive maintenance programs, many industrial companies still end up neglecting this important matter. These unforeseen roof issues can have a huge impact on your business and cost you big time. These avoidable circumstances can cause you money and effort, thus it is better to undertake preventive measures. Don’t let a major roof damage get in the way of your business. Here are five of the most common industrial roofing problems that you may be dealing with or could deal with in the future. Extreme temperature changes can cause overflowing gutters and water ingress. Extreme wind can cause your roofing material to loosen which can lead to a collection of debris and eventually leakages. You can’t do anything about the weather but you can at least control the damage by conducting regular inspections. Aside from extreme weather, overflowing gutters can also be caused by failure to clean them regularly. Don’t wait for the worst case scenario of having to conduct a gutter replacement; prevent blocking and choking in your gutters by regularly cleaning out leaves, branches, stone, dirt and debris brought about by the weather. Roof leaks are usually caused by missing or damaged roofing material. It is best to identify these issues early because this means that you might need a roof replacement. Spot leaks by being on the lookout for damp spots and discolouring on your walls and ceilings. For business owners and industrial plant managers, seagulls and other birds can cause headaches. They pick at roofing materials, bring collected debris and cause a mess on the roofing with bird droppings. All these can cause water ingress and overflowing gutters. Prevent this issue by discouraging seagulls from your roof. Pools of water that build up on your roof can be a sign of built up debris or blockage. This poses a threat to your roof’s structural integrity because of the additional weight it adds to your roof. Always conduct maintenance checks and, where possible, install additional roof drains to address drainage issues. Many roofing issues arise from a failed job repair from a previous contractor. This can lead to a worse roofing condition or even the need for a full roof replacement which can cost more. Avoid this problem by hiring only the best when it comes to industrial roofing. Here at TruCoat Roofing, we guarantee our specialised services when it comes to painting and roofing of residential homes and industrial buildings. Contact us now at (0403) 572-381!